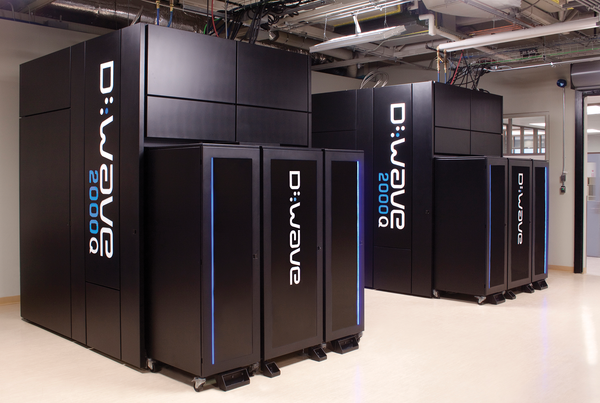 D-Wave  was founded in 1999 with the goal to build quantum computing systems that help solve humanity's most challenging problems in areas such as government and defense, transportation and logistics, economic risk analysis, healthcare, and space research. "A quantum computer harnesses the power of quantum mechanics – the laws of physics that govern all particles in the universe – to solve increasingly difficult problems" explained Murray Thom, director of Quantum Cloud Services at D-Wave. Classical computers use bits of information that live in one state (0 or 1) at a time. A quantum computer uses the quantum-mechanical principle of superposition to enable bits of information to be in both the 0 and 1 state simultaneously. To harness these quantum effects requires an extreme environment: just above absolute zero in temperature (150 times colder than interstellar space) and the near elimination of magnetic fields that occur naturally on earth. "The way in which we build such devices requires new materials, new design rules, new processor architectures, and, finally, new ways of programming," said Thom. "What we get after all this work is a faster, much more powerful computation system that can manipulate and assess all combinations of information concurrently, and solve previously unsolvable problems." The concepts surrounding quantum computing have been around since the early 1980s, and mathematicians and physicists have written many papers and given many lectures exploring the possibilities of quantum computing algorithms. In theory, a quantum computer should be able to solve some types of problems faster much faster than a conventional computer. In the real world, however, the first generation of quantum computers are considered experimental and still have not achieved the considerable performance advantage that the theories predict. When asked how close quantum computers are to beating a classical computer, Thom said that the quantum advantage is around the corner – potentially within the next year or two. "We are beginning to see promising results today. Some current customer's early applications results have shown D-Wave systems are approaching, and sometimes surpassing, conventional computing in terms of performance or solution quality, heralding the first examples of real customer application advantage on quantum computers," he said. Not just a theory anymore: D-Wave builds real-world quantum computers. Since we have not deployed quantum computers in the same way we use classical computers, we still don't know how effective they will be in real-world scenarios. (See the box entitled "Mysteries.") We look at problems from the perspective of solving them through classical computers. "The limitations [of quantum computing] lie in what we don't know of the quantum physical world. But that's what makes working on such a historic project so exciting," said Thom. Quantum computing is still in the experimental stage and is even now just emerging from theory to real-world systems. Like many other experiments, the quantum computing experiment leads to several different interpretations – and even some doubters. Linux creator Linus Torvalds said recently that he is an "unbeliever" of quantum computers, and he is not alone. After nearly a hundred years of continuous research, quantum mechanics is still not fully understood, and various camps within the physics profession interpret the observable phenomena in different ways. Some skeptics don't believe the predicted speed-up for quantum computing will ever be achieved (either for theoretical or practical reasons). Still others don't believe that a quantum computer would even work at all, or at least, that it would work any differently from an ordinary computer. Peering inside a D-Wave quantum computer. Thom did shed some light on what kind of problems quantum computers may solve. "D-Wave's quantum computers can be used for intensive tasks such as discrete optimization problems, machine learning, and sampling problems that would be computationally intractable for classical computers," said Thom. "Classical systems and algorithms struggle to perform such complex computations." There are many examples of problems where a quantum computer can complement a high-performance computing (HPC) system. Although a quantum computer is well suited to discrete optimization, a conventional HPC system is a better option for large-scale numerical simulations. People need specific knowledge about quantum computers in order to work with them. There is no OS that runs on the quantum processor itself. It's analogous to a coprocessor that you program through a defined API. Quantum computing is Turing-universal, meaning you can immediately apply it to your application workflow. "Deep quantum mechanical effects may be exotic, but much of the workflow will look surprisingly familiar. Our quantum Ocean SDK  is hosted on GitHub; you can write in familiar programming languages like Python and use Jupyter notebooks to get started," said Thom. D-Wave and other quantum computing companies are making it easier than ever to learn, experiment, and write code via the cloud. Reducing barriers to entry is important and D-Wave, along with other companies in the quantum computing ecosystem, are working on lowering the barrier. "The population of people with a deep existing knowledge of quantum mechanics is relatively small, but that doesn't mean there shouldn't be a path for the broader software developer ecosystem to get involved," said Thom. 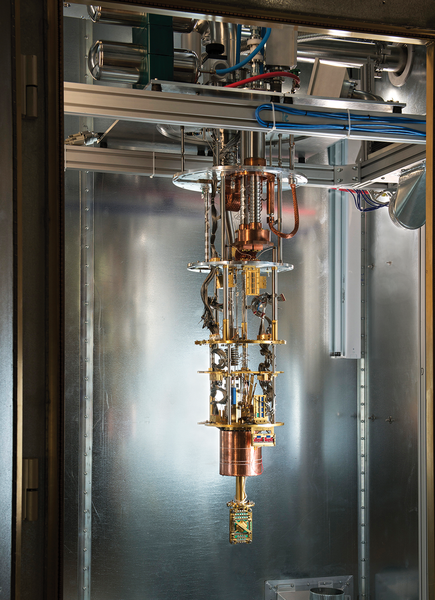 Quantum computing requires highly specialized hardware. D-Wave recently launched the first real-time Quantum Application Environment called Leap . "We built Leap based on our experience helping customers build the 100 early real-world applications running on our computers today. So, we know what quantum development takes and how to fuel it," said Thom. "It's the only platform offering immediate access to a live quantum computer with an active community of customers who have built quantum applications. We have hundreds of users writing and running early applications – 70% of the current 100+ early applications built on D-Wave computers were built in the cloud." Cloud access and the Leap Quantum Application Platform gives access to a live quantum computer to thousands of developers. Everyone gets one free minute of processing time on Leap (during which you could run 400-4000 queries), and you can earn more time by open sourcing your code. A lot of work is still in progress, but Thom believes the industry is at an inflection point. "Practical applications are closer than you may think. Fortune 500 companies and startups alike are already building early applications on quantum computers to tackle real-world problems – everything from urban traffic optimization to improved election modeling." D-Wave customers range from national laboratories like Oak Ridge  and Los Alamos to innovative companies like Google/NASA and Recruit Communications. In terms or private industries, the automotive industry is an early adopter of quantum computers. 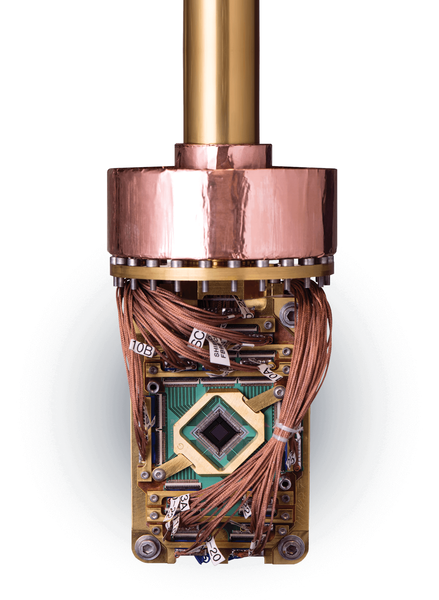 Ford has signed a contract with NASA to use their D-Wave 2000Q  to leverage quantum computing for applications like traffic optimization and battery improvement. Volkswagen  has used D-Wave in an application for optimizing traffic routes for thousands of taxis in Beijing. They're also working on machine learning and the discovery of new battery materials. Toyota Tsusho is using D-Wave for high-speed optimization projects. British Telecommunications (BT) is using quantum computers for mobile cellphone tower placement optimization. DENSO  is using D-Wave to optimize their factory automation and even optimizing tsunami evacuation routes. The European Organization for Nuclear Research (CERN) is also using quantum computers . For more examples of companies using quantum computers, see the "Who's Using D-Wave Quantum Computers?" box. Who's Using D-Wave Quantum Computers? Los Alamos National Lab is using D-Wave computers to analyze water tables  . The University of Southern California (USC) is using D-Wave to look for the Higgs boson particle and using the same technique to analyze DNA patterns . OTI Lumionics is using D-Wave for the discovery of new materials and seeing ~2-3x speedup. Solid State AI is applying AI to advanced manufacturing and mining and using D-Wave to improve AI models. Recruit Communications is using D-Wave to optimize digital ad placement online (i.e., for hotel room ads) . QxBranch is using D-Wave to improve election modeling and prediction.